Joseph Deacy of St Albans in England was discovered outside a house at Gortnasillagh, Swinford on Saturday 12 August 2017. 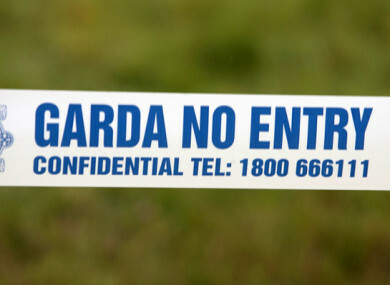 GARDAÍ IN MAYO have released two men without charge after arresting them in connection with the death of a man in Swinford in August. The 21-year-old was taken to hospital after gardaí and emergency services were called to the scene by a passer-by at around 6am on the morning. He was brought to Mayo University Hospital by ambulance but he was later removed to Beaumont Hospital, where he was pronounced dead the following evening. A post-mortem examination was carried out by the State Patholigist Professor Marie Cassidy and the death is being treated as a homicide. The post-mortem found that Deacy suffered head injuries. Two men aged in their 20s were arrested yesterday morning in connection with Deacy’s death. They were released today. Gardaí say the investigation is ongoing. Email “Investigation into Mayo murder continues after men released without charge”. Feedback on “Investigation into Mayo murder continues after men released without charge”.